The Red Devils were heavily fancied to sign a new centre-back in the 2018 summer transfer window with Jerome Boateng, Toby Alderweireld and Harry Maguire among the high-profile names linked. However, much to the frustration of Jose Mourinho, the club could not pursue any of their targets and this eventually cost the Portuguese dearly with his job after the existing players failed to show up under his management. According to The Manchester Evening News, the hierarchy could be prepared to revisit the defensive department in the summer and they have already scaled down their options. Among those, long-term target Kalidou Koulibaly has been included alongside Inter Milan ace Milan Skriniar and Joachim Andersen, who has enjoyed a breakthrough season with Sampdoria. 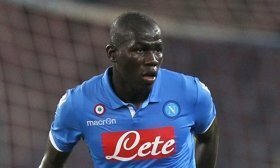 Ex-United boss Mourinho had been keen on signing Koulibaly prior to his sacking in December and this was confirmed by the Napoli president, who revealed that the club had made a club-record bid of £95m.